Fats Waller, 1930s. Courtesy of Mills Music. May 21 marks yet another impossible to ignore occasion, the 112th birthday of Fats Waller. This record is Fats’ first vocal record issued under his own name, he had previously recorded a series of uncredited vocal sides with Ted Lewis and his Band the same year, and had released many piano and organ solos. Thomas Wright Waller was born May 21, 1904 in New York City, the youngest of eleven children of Rev. Edward Martin and Adeline Locket Waller. Instructed at first by his mother, he learned to play piano and organ as a child, playing in his father’s church, and in Harlem’s Lincoln Theater. 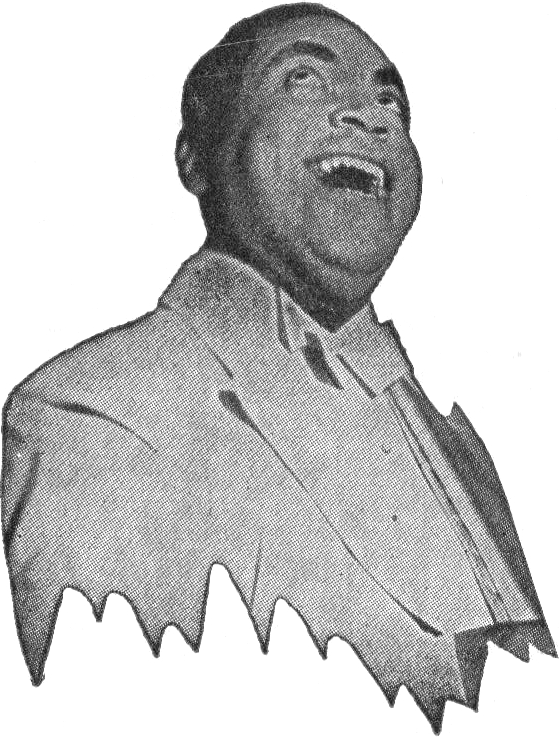 He later came under the tutelage of Harlem’s foremost pianist James P. Johnson, and won a contest for playing Johnson’s “Carolina Shout” in 1918. Waller made his first recordings for Okeh in 1922, piano solos of “Muscle Shoals Blues” and “Birmingham Blues”, and his first vocal recordings for Columbia in 1931 with Ted Lewis’ Band. By the end of the 1920s, he was one of Harlem’s leading pianists and composers, often collaborating with lyricist Andy Razaf. In 1934, at a party thrown by George Gershwin, his playing and singing was noticed by a Victor Records bigwig, who set him up with a lucrative contract for Victor, recording as “Fats Waller and his Rhythm” (though he had, in fact, recorded for Victor a number of times prior to that). In 1943, he appeared in the motion picture Stormy Weather, which was to be his swan song. Fats Waller died of pneumonia on a train near Kansas City on December 15, 1943. His ashes were scattered over Harlem. Columbia 14593-D, issued in the race record series, was recorded March 12, 1931 in New York City. The DAHR notes that takes “2” and “3” were issued on both sides, these are “3” and “2”, respectively. First, Fats sings his own famous song, “I’m Crazy ‘Bout My Baby (And My Baby’s Crazy ‘Bout Me)”, demonstrating his unique vocal styling on this early side. Sorry about the rough start, I cleaned it up quite a bit, but there’s only so much I’m capable of doing. 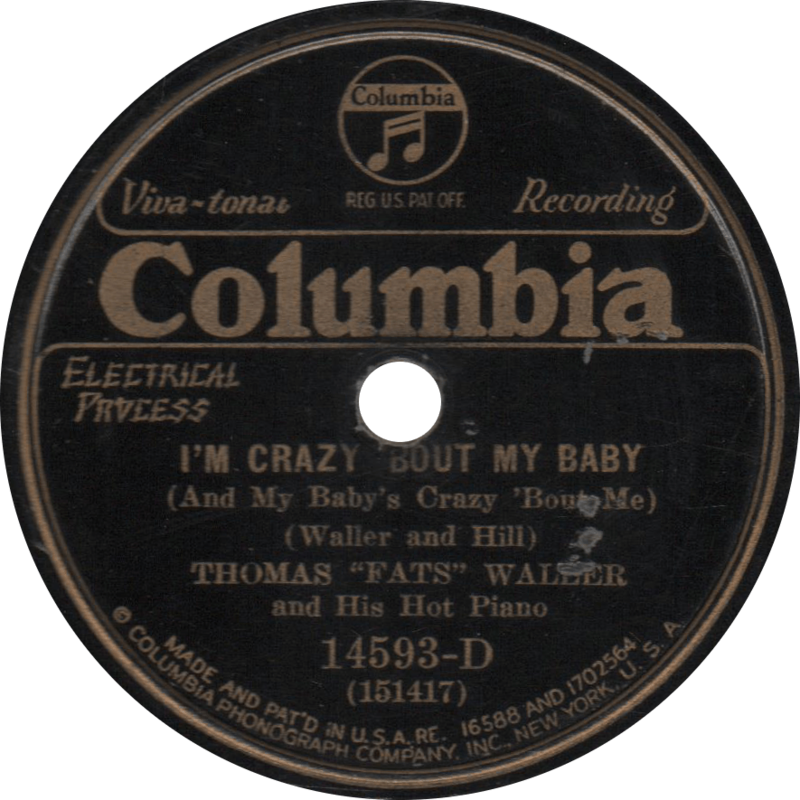 I’m Crazy ‘Bout My Baby (And My Baby’s Crazy ‘Bout Me), recorded March 13, 1931 by Thomas “Fats” Waller and His Hot Piano. On the other side, Fats sings Alex Hill’s “Draggin’ My Heart Around”. 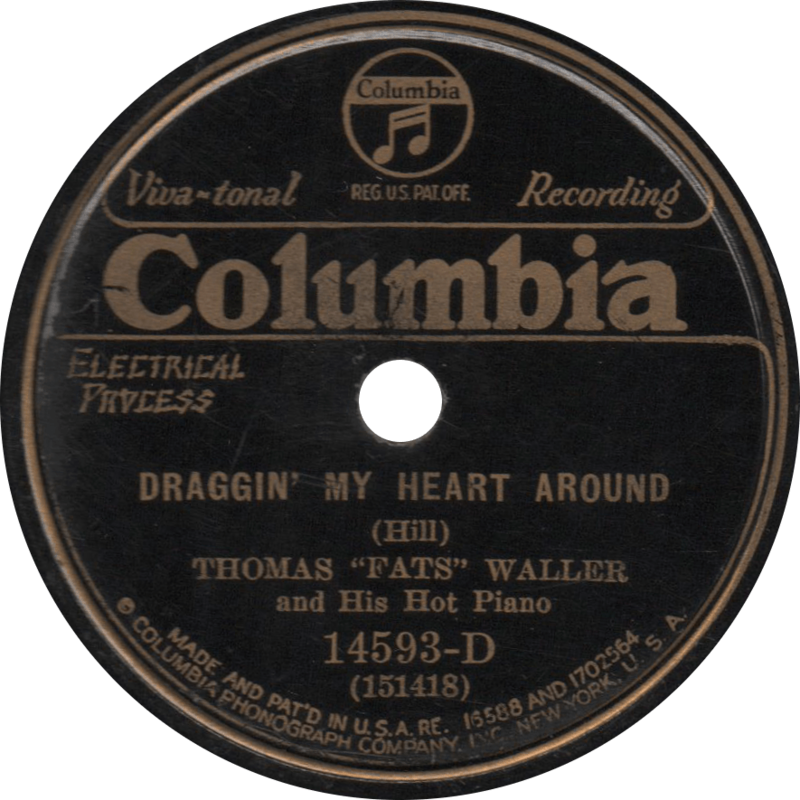 Draggin’ My Heart Around, recorded March 13, 1931 by Thomas “Fats” Waller and His Hot Piano. This entry was posted in Records and tagged 1930s, 1931, Alex Hill, Columbia, Fats Waller, Harlem, Jazz, New York, Race Record by R. Connor Montgomery. Bookmark the permalink.